SKU: SYL-960. Category: Camera & Video. 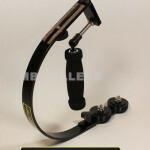 Tags: Camera, Dolly, Elite, Glide Gear, Hybrid, Slide Wheels, Swivel, SYL-960, Track. 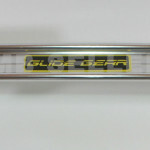 The SYL-960 by Glide Gear is an amazingly versatile track dolly. 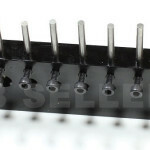 This unit will allow you to make world class professional films for a fraction of the price of some of the other upper end track dollys on the market. There’s no sacrificing quality with the Glide Gear SYL-960, which is machined from aircraft grade 6061 anodized aluminum alloy to very tight tolerances for maximum precision and strength. 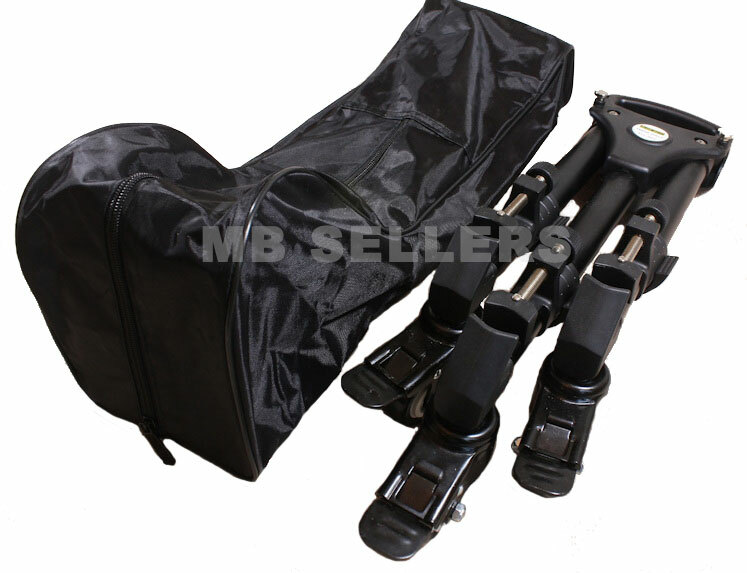 So although this system is strong enough to be used with rigs exceeding 35lbs, it is only a few lbs in weight, and folds up to be carried in the convenient carry bag that comes free as part of this kit. 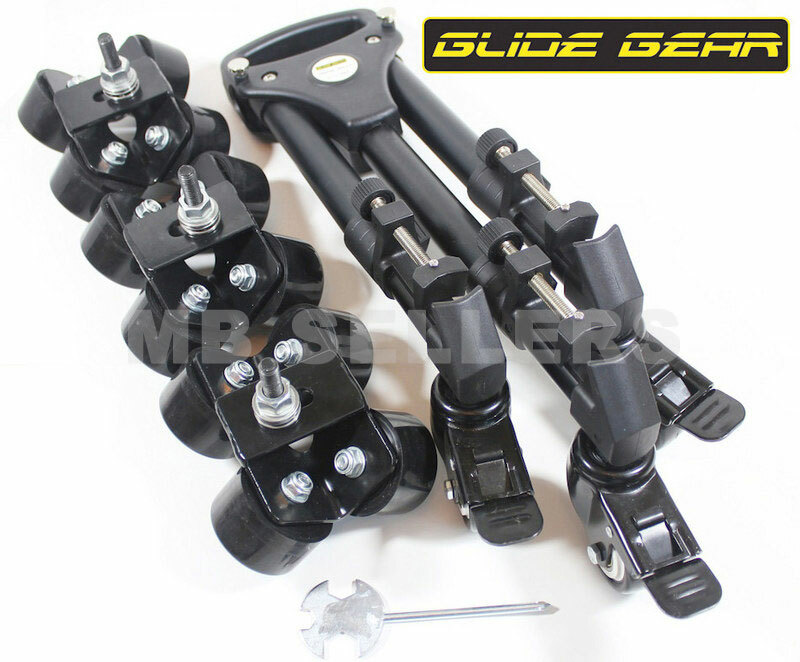 At the heart of the new Glide Gear SYL-960 track dolly system is the advanced sliding swivel wheel system. These wheels are not only full 360° swivel, but also able to freely slide within the wheel housing in any direction by an extra 1″. This means that the track can be as uneven as 2″ in places and still not effect the smooth operation of the Glide Gear SYL-960 track dolly. 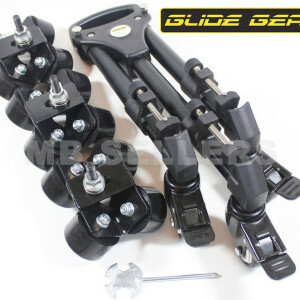 In addition to all of these features, the Glide Gear SYL-901 is a hybrid that can easily be converted into a rolling camera dolly with the included regular swivel wheel castors. Each swivel track wheel assembly comes with four track wheels (4-wheels) for maximum stability and each castor wheel has 360° swivel and locking mechanism. These track wheels are made for movement along a track, they have the most surface area in contact with the track surface possible. Be aware that some competing products are using rollerblade wheels which are not designed to be on tracks and have less stability.